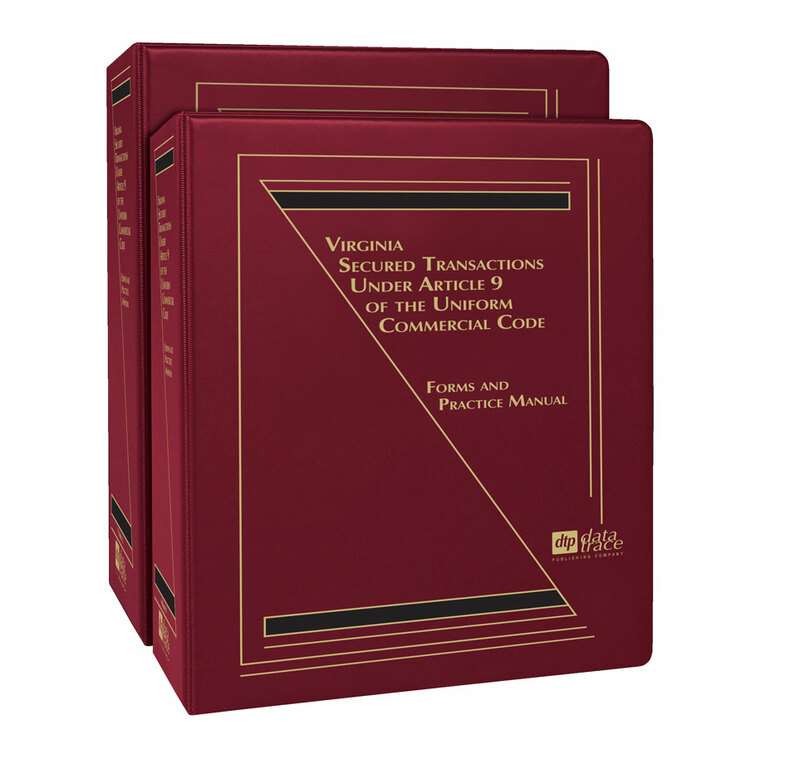 Prominent Virginia attorney, Margaret W. Swartz, has drawn from her extensive experience to bring you this practical, easy-to-use book, containing a comprehensive collection of all the current rules of Article 9, along with extensive commentaries on how they affect the forms and procedures used in Virginia today. 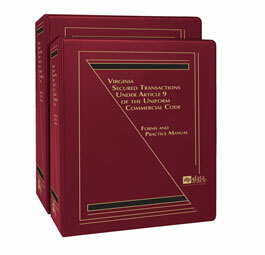 The First Edition of your Manual was published in 2001, following the adoption by the Virginia General Assembly of revised UCC Article 9. What was once commonly referred to as “Revised Article 9” is now firmly entrenched in the legal practice as simply “Article 9.” This Second Edition of Virginia Secured Transactions Under Article 9 of the Uniform Commercial Code: Forms and Practice Manual provides a comprehensive update of the Manual to present an overview of Article 9 for Virginia commercial law practitioners in 2014 and beyond, and conveniently provides useful forms on the accompanying CD for your immediate use. New cases and practice pointers added. New sections added, including sections on cooperatives and docks. All forms conveniently provided on the accompanying CD for your immediate use. Margaret Warren Swartz is a sole practitioner in Richmond, Virginia, and specializes in commercial and real estate lending. She has been approved as a designated closing attorney by the U.S. Small Business Administration in connection with its 504 loan program, and she regularly serves as lender’s counsel for such loans. Ms. Swartz’s professional experience includes almost a decade of practice in the Financial Services Group at Williams Mullen in Richmond. There, she focused on all aspects of banking, including commercial and real estate lending, contracts, deposit and privacy matters, and secured transactions. Ms. Swartz also practiced for eleven years at Crestar Financial Corporation in Richmond, where she served as Vice President and Associate General Counsel. In that capacity, she advised on a broad spectrum of matters, including loan documentation and collections, lien perfection, bankruptcy, lender liability issues, leasing and insurance. Ms. Swartz is a 1976 honors graduate of the College of William and Mary. She received her law degree in 1982 from the T.C. Williams School of Law at the University of Richmond, where she was Associate Editor of the University of Richmond Law Review. Immediately following her graduation from law school, Ms. Swartz served for two years as personal law clerk to Virginia Supreme Court Chief Justice Harry L. Carrico. Ms. Swartz is a member of the Virginia State Bar, the Richmond Bar Association, and the National Association of Development Companies. Chapter 1: What Law Governs?